The <table> element is used to define the tabular data. The data shown by two dimensional data table. 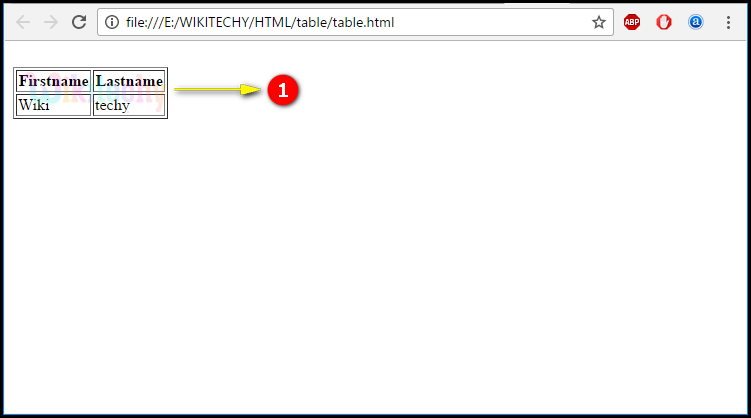 The <table> element starts with <table> and ends with </table>. The table element is in the flow content category. The <table> element also support Global Attribute and Event Attribute. The "align", "bgcolor", "border", "cellpadding", "cellspacing", "frame", "rules", "summary", and "width" attributes are supported. <table> element - is used to define the data in the table format and starts with <table> and ends with </table>. border is the attribute of the table that shows the size of the frame around the table. <tr> element – used to represents the row of the table. 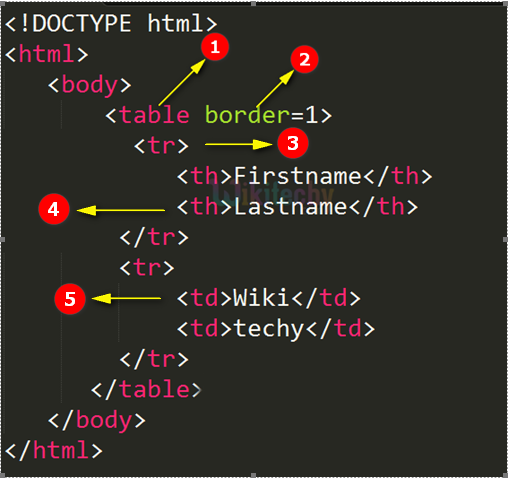 <th> element – used to represents the header of the table. <td> element – used to represents the data of the table. Here we can see the output is displayed in table format.